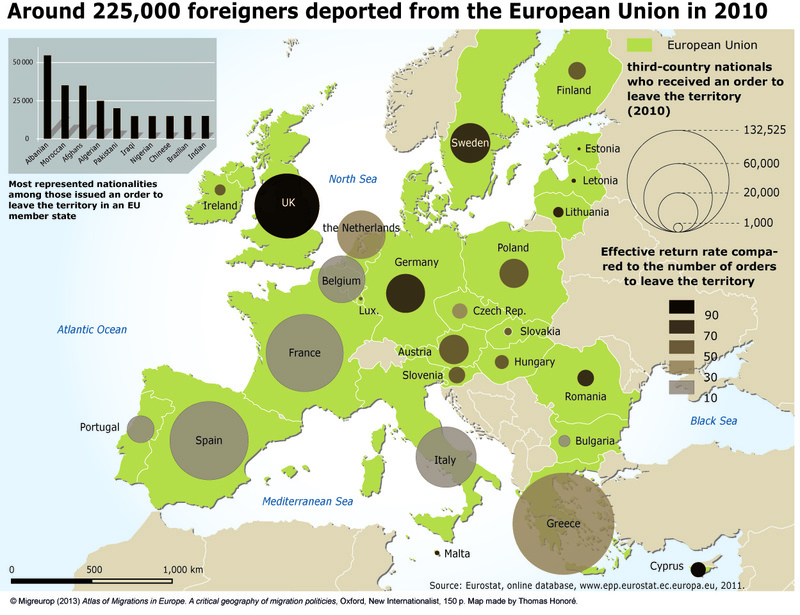 In the course of 2010, 539,776 people were served with a notice to leave the territory and nearly 225,000 migrants (226,379) were deported from European Union territory. 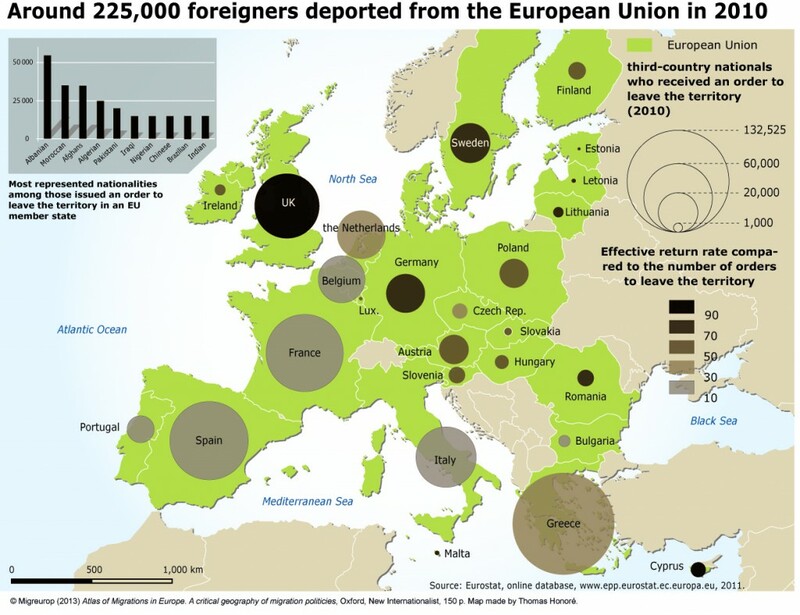 Albanians, Moroccans and Afghans represented nearly half the total number of deportations. The Member States of the European Union which conducted the highest numbers of deportations in 2010 were Greece (54,261 deportations), the United Kingdom (53, 615), Spain (21,955) and France (17,045).